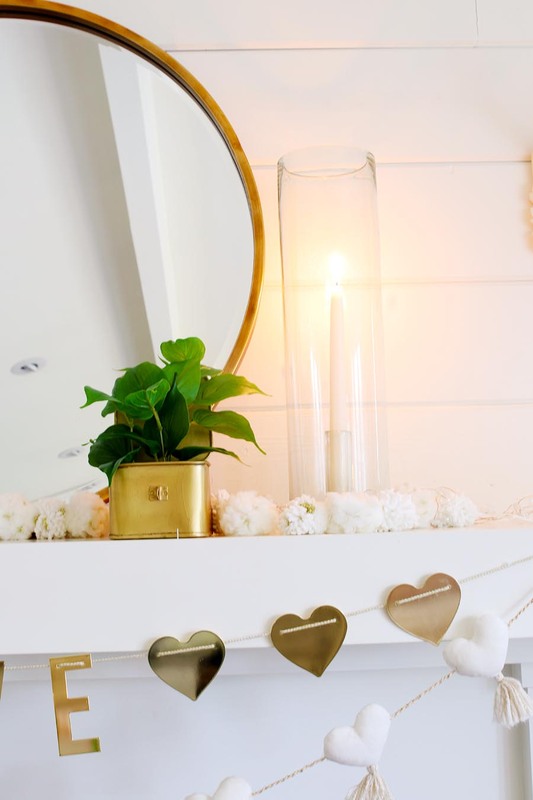 Check out these 10 ways you can add more hygge to your life right now! It seems as though hygge is everywhere these days. And while it seems to be pretty popular right now, I believe there is a common misconception. Hygge, like love, can’t be bought. It seems as though every company is using this Danish concept to market their products. 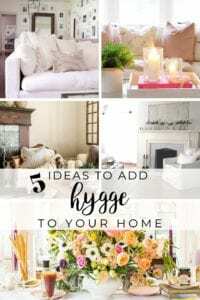 But the best part of hygge, is it doesn’t cost anything and you most likely have everything you need to add more hygge to your life! To fully be in the feeling of hygge, you must take a break from electronics. It doesn’t have to be forever. Even for just a few moments. Be present and enjoy conversations with friends and family. Turn the TV off and connect on a different level! Wake up each morning and before getting out of bed think of one thing you are thankful for. This practice of acknowledging our gratitude is important. We have a tradition with our kids that each night at dinner we each get to tell our favorite part of the day. My kids love this and the best part is it helps them focus on the positive. What is more hygge than reading a book while curled up and sipping on a hot drink? Nothing. 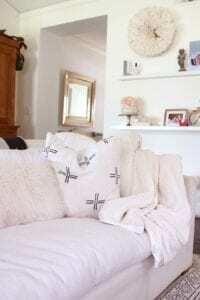 This is a simple and easy way to enjoy the feeling of hygge. Lighting has such a huge influence on the ambiance in your surroundings. Turn off the lights and light some candles. Did you know the Danish burn more candles per person than anyone else in the world? It’s true. 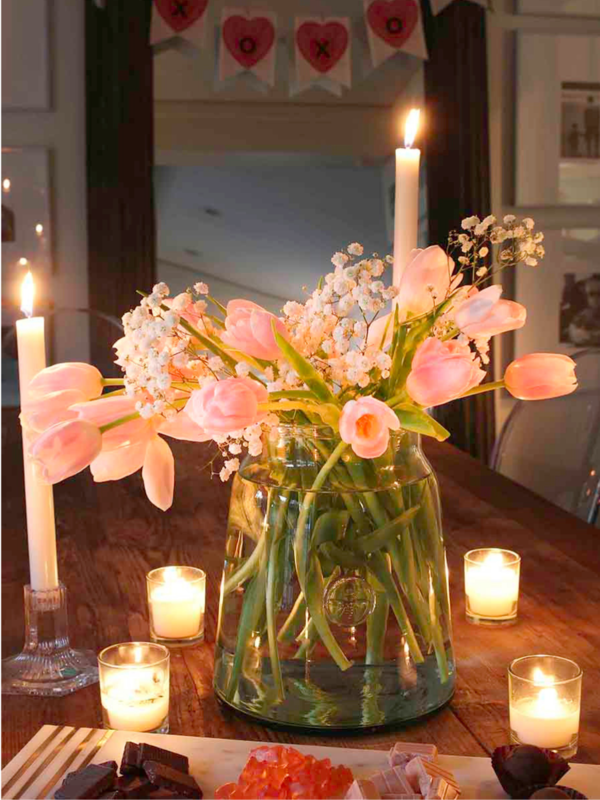 And candles are the perfect way to create that cozy feeling. Hygge isn’t just about how your home may look, but it’s also about how it feels. So layer on the soft blankets and cozy pillows. Add in textures and layers that invite you to curl up and stay a little longer. Taking a break and walking outside forces you to slow down. We are so used to living in a fast paced world. Take a walk outdoors and it will help you enjoy the moment and notice your surroundings. The Danish love a hot cup of tea, hot chocolate or coffee. It immediately gives you that cozy, contented feeling. So, put the kettle on and brew up a warm mug to wrap your hand around! And the longer a meal takes to cook, the more hygge is it. So, enjoy the process. One of my favorite things to do in the winter is to cook soup because I love the smell of it simmering on the stove until we are ready to eat. It’s one of the reasons I haven’t purchased an Instant Pot yet. I just enjoy the process of cooking a slow stew or hearty soup! 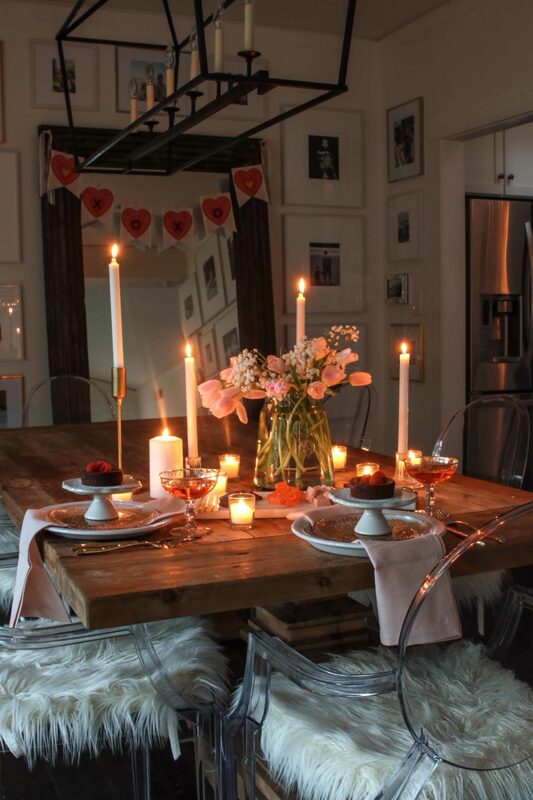 Enjoy the company of friends by sharing a cozy meal and good conversation. Be sure to light the candles and add in soft blankets for extra hygge vibes. Take some personal time out and do what you enjoy most. Baking, reading a good book, knitting. Whatever it is, make sure you are taking time to fill your soul with what you are passionate about.